“We are thankful to God for His grace, care, protection and provision throughout the whole GPA Mali. Dr. Richard is grateful for the prayers sustaining him through less-than-ideal circumstances when he first reached Africa. His hosts’ warm spirits blessed him through a busy first few days in Malawi and South Africa. Please continue to intercede for him as he heads, the Lord willing, into a large pastors conference and evangelistic events in Uganda, as well as GProCongress vision-casting gatherings with leaders in Uganda and Ethiopia. Also pray for organizers and attendees. 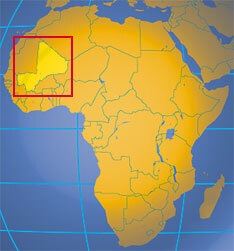 Mali is one of the most difficult and dangerous places in the world for anyone, let alone Christians. It is also one of the world’s poorest nations. Yet right now, three courageous and committed Dallas GPA grads are holding a national GPA for 21 Malian pastors who have braved threats of terrorism, war and Ebola to attend. Pastor MO, the sole Dallas GPA grad from Mali (2007), traveled two weeks one way to GPA Togo last September to observe a national GPA in process. He then single-handedly organized GPA Mali, with fellow Dallas grads Pastor MN from Burundi (2012) and Pastor MS from Togo (2013) joining him as master coaches. By the opening day of November 14, only 15 of the anticipated 25 delegates had arrived. Others had started their journeys two days ahead of time, but were still held up by various difficulties. The team worked hard to encourage them to persevere. 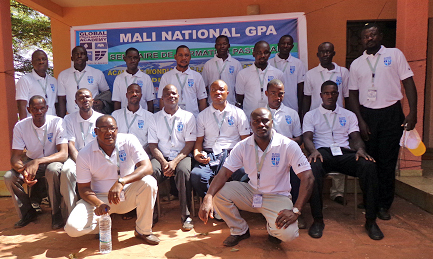 Please pray earnestly with us for the organizers and pastors of GPA Mali, and for their churches and families. Dr. Richard leaves today, Tuesday, November 18, for a 14-day, four-country trip to Southern and Eastern Africa. Please pray that he will be able to meet about 25 key pastoral trainers in each country–Malawi, South Africa, Ethiopia and Uganda–regarding the Global Proclamation Congress for Pastoral Trainers. This weekend he is to speak at an apologetics conference and at Dallas GPA grad Pastor F’s church in Lilongwe. Next week he is speaking at a pastors conference and evangelistic event in Uganda. This will be his first time away from home over Thanksgiving in 38 years. He is also preparing for a number of key engagements taking place immediately upon his return. Please pray for Christ-likeness, capacity and creativity for Dr. Richard, as well as the Lord’s total protection and global provision on him and all with whom he will come in contact.